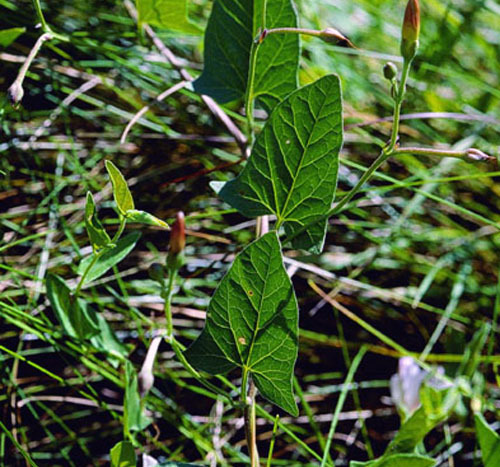 Field bindweed is native to Eurasia and was probably introduced to North America as a contaminant in crop seeds. The exact time of introduction is unknown, but it was an established weed in the U.S. by the early 1800s. The vines of these plants typically climb and out-shade native species. It has the ability to form dense mats in agricultural areas smothering crops and clogging harvest machinery. 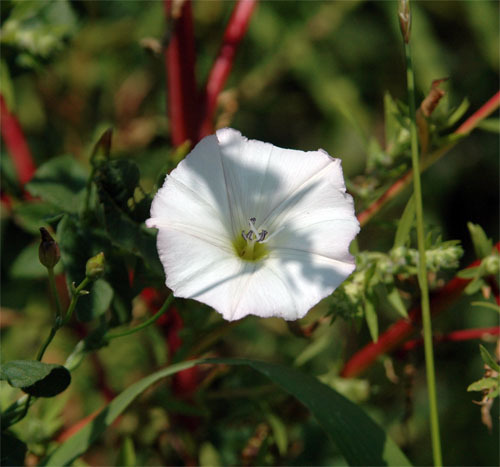 The flowers of field bindweed have a distinctive funnel shape, grow up to 3 cm wide and long, and are white or pinkish in colour. The triangular or arrowhead-shaped leaves have long stalks and grow alternately along the stem. 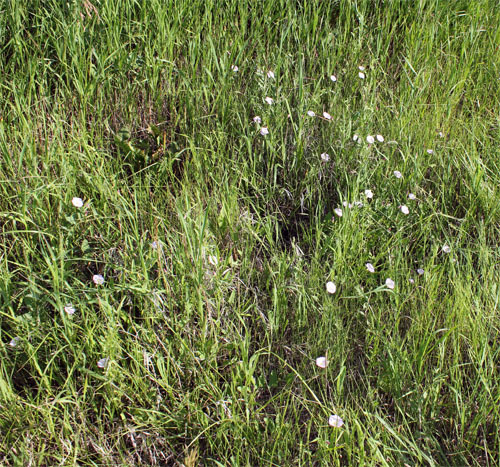 The stem creeps along the ground and one plant can spread up to 2 m wide.